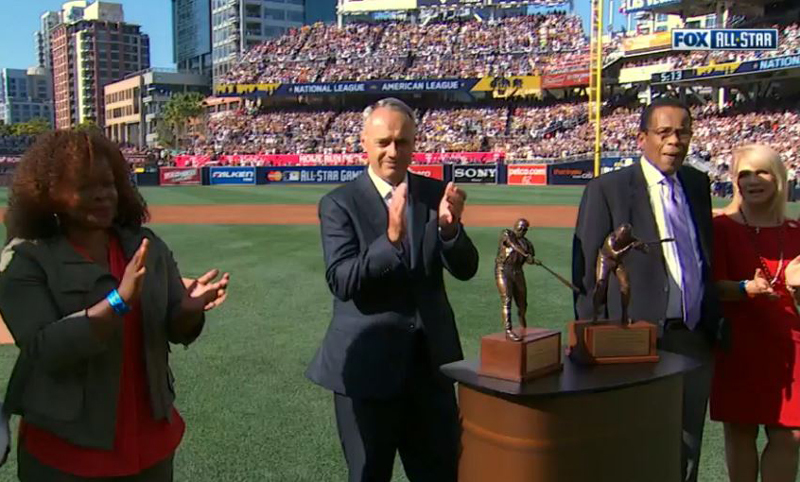 San Rafael, CA Scansite3D presented their contribution to Major League Baseball with the unveiling of two new trophies that were presented during pregame festivities at the 87th All-Star Game played at Petco Park in San Diego. 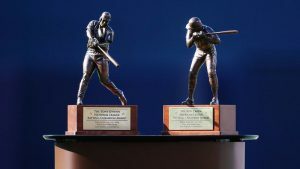 The new awards honor Baseball Hall of Famers Tony Gwynn and Rod Carew and the players who earn the highest batting averages annually in each League, will now be known as the “Tony Gwynn National League Batting Champion” and the “Rod Carew American League Batting Champion”. 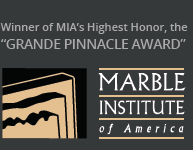 The new awards were made by combining the technologies of high resolution 3D scanning and 3D printing with the craftsmanship of lost wax bronze casting. 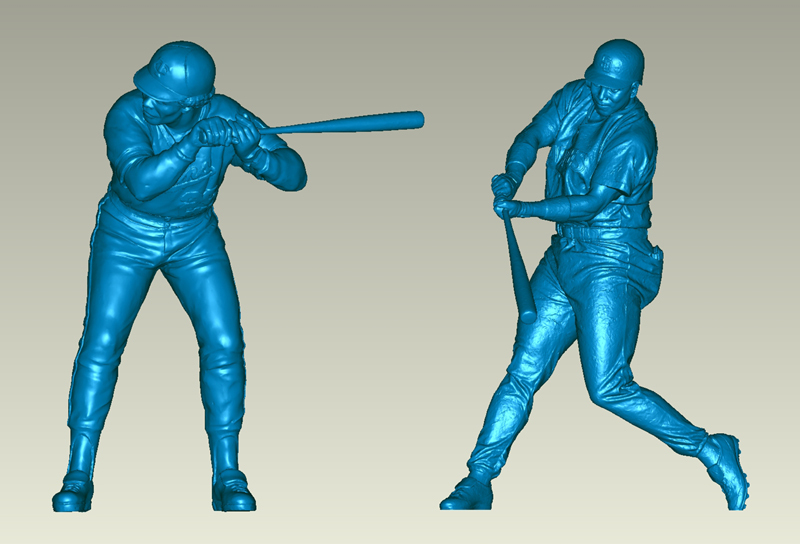 When MLB first approached Scansite3D to create the awards, there were two potential major complications. The first was that the League was counting on using 3D scan data previously acquired from projects completed in 2007 and 2010 and, secondly, they only had two weeks to get the entire project finished! Luckily for the League, Scansite3D has over two decades of experience doing high profile projects and a reputation for creating the highest resolution 3D scan data available in the industry. 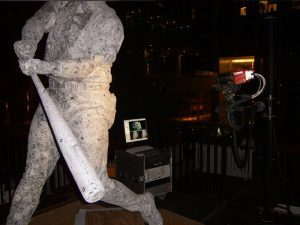 The original Gwynn statue was crafted by William Behrends, who also sculpted the statues of Willie Mays, Willie McCovey and Juan Marichal outside the San Francisco Giants’ ballpark. The original Rod Carew statue was created by Bill Mack, who was also the artist for the Kirby Puckett and Harmon Killebrew statues at the Twin’s stadium. The first step of the project was to extract the 3D data from Scansite3D’s archive and confirm it was as viable today as it was when it was created. Using 3D scan data made so long ago could have been a problem with how fast technology changes. “We’ve been pushing the boundaries of 3D scanning and 3D printing technology since 1991 so we were confident that the data we made back then would be just as sharp and accurate as any we create today,” says Scansite CEO, Lisa Federici. Once the 3D scan data was validated, it was scaled appropriately for trophy size and the task turned to creating the highest definition 3D printed prototypes available to use as master patterns for the new bronzes. Whether or not the detail would show up on the 3D prints was completely reliant on the detail that was captured in the original 3D scan file. There was no time in the schedule to work on either, so the scan data needed to be perfect and the 3D prints needed to be crisp. The 3D printed maquettes turned out beautifully! 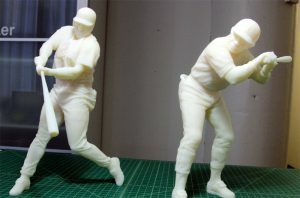 After the 3D prints were produced, rubber molds were made over each figure and waxes were produced. The wax models made were an exact duplicate of the 3D prints. Once formed, the waxes were pulled from the molds, hand chased, and wax rods (gates) were attached to the wax castings in just the right positions. The next step was to dip the new waxes into alternating layers of investment liquid and sand several times, creating ceramic molds. Between each dip, the ceramic layer must cure before another layer can be applied. The ceramic shells were then placed in a kiln and fired, and the wax was melted (lost) from the shells creating hollow molds. Thus the term, “Lost Wax”. The ceramic molds were then removed from the kiln and the molten bronze was immediately poured into them. 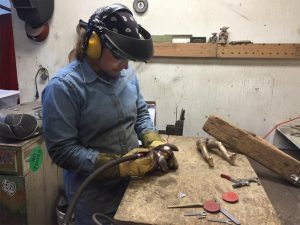 At the time of pouring, the bronze was 2100 degrees Fahrenheit. After the castings cooled several hours, the shells were carefully broken away leaving the unfinished bronze pieces. Next, the pieces were inspected, welded together, and the weld marks chased and re-detailed. Lastly, the new bronzes were sandblasted, hand polished and patinas were applied. 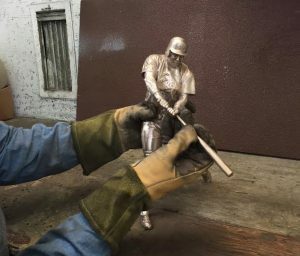 The finished bronze figures were permanently affixed to handmade, cherry wood bases, brass plaques were placed on the fronts and the new “Tony Gwynn National League Batting Champion” and the “Rod Carew American League Batting Champion” awards were created…. and in less than 2 weeks! 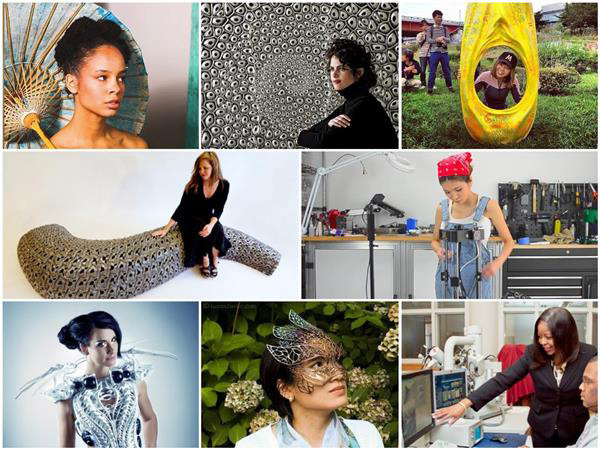 Scansite3D is an internationally acclaimed 3D technology company based in San Francisco. 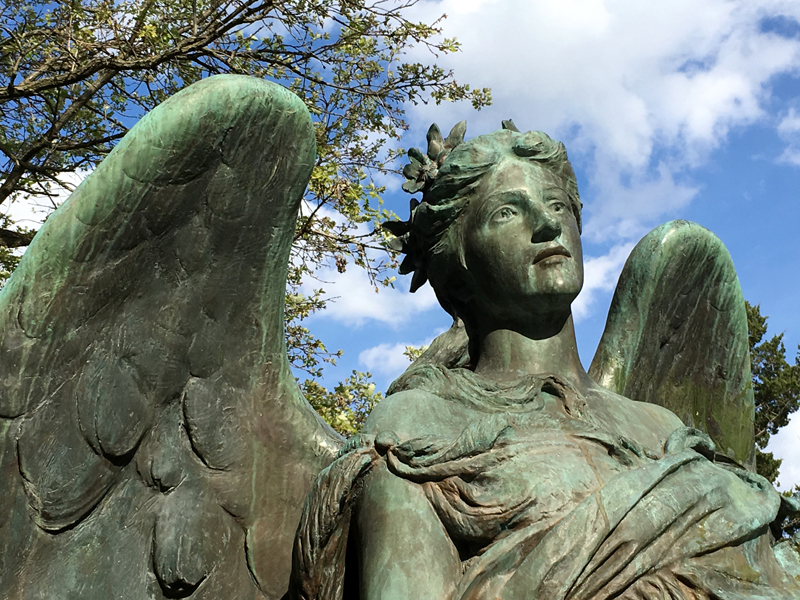 With the expertise and attention to detail necessary to cater to world-class museums or aerospace companies, Scansite3D provides state-of-the-art services and meticulous, guaranteed results every time.